If you have a number of DivX videos on your PC that you want to enjoy watching on HD TV, you either need DivX format compatible DVD players or convert DivX to DVD format. Additionally, when you convert DivX to DVD, you create a collection of your videos on discs and also clear some storage space on your PC. In all the mentioned situations, you would need a good DivX to DVD converter and the following part of the article will help you to know about the same. Suppose you have a TV with an SD memory card slot or a DVD player in your car with a USB port. Will the videos from your Powershot play on your TV? Maybe. Maybe not. What do you do if it doesn’t work? In the simplest terms, DivX is a compression technology that is developed by DivX, Inc and facilitates user to create small size videos while retaining high quality. There are three types of DivX codecs which include MPEG-4 Part 2, H.264/MPEG-4 AVC and High-Efficiency Video Coding. Owing to the quality, compatibility with DVD players, and high speed, DivX is a popularly used MPEG-4 based codec. To know more about DivX, you could click here to know more . There are some DVD players support direct DivX/Xvid video playback with USB or Card Reader. But most doesn't. In such cases, simply convert DivX to DVD to play with any home DVD player. Afterwards, you can either watch those movies on a PC with a DVD drive or on TV with DVD player connected. In this article, a solid and easy to use Dvix to DVD burner: Wondershare DVD Creator (DVD Creator for Mac) is introduced to help you make it. This DVD burning software also includes handy-on editing tools, where you can crop, rotate, trim unwanted sections, add watermark, set special effects, etc. In the following, I'll show you how to convert DivX to DVD in Windows. When making DVD from Divx or Xvid files in Mac (High Sierra included), the steps are similar. Make sure you get the DivX to DVD Mac version DVD burner. Free download DivX to DVD Mac/Windows converter here. · Convert DivX to DVD/ISO/DVD Folder/Blu-ray Disc/Data Disc in high quality and super fast speed. · Additional functions like photo slideshow, DivX video editor, DVD to DVD conversion, DVD to Video conversion, burning Data disc, burning ISO to DVD, and more. · Customize DVD menu with different parameters like title, background picture or music, frames etc. · Offer 100+ free static and dynamic menu templates to personalize your DivX file to DVD. 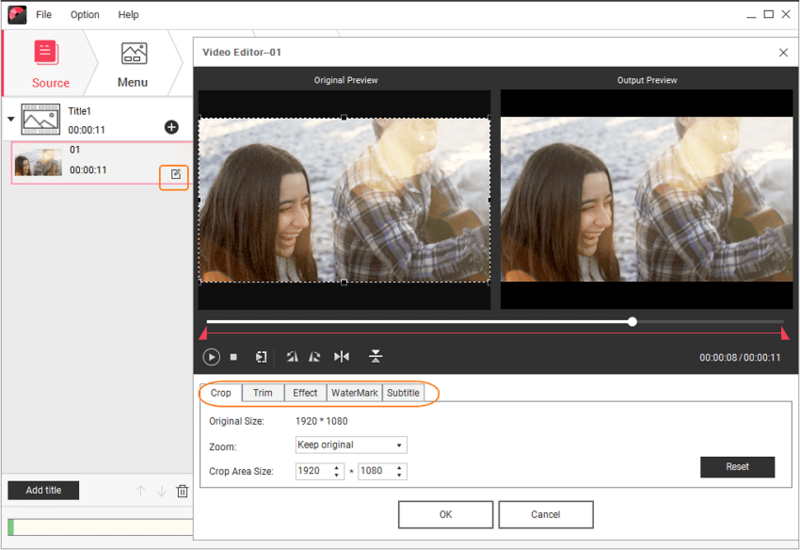 · Build-in editor to personalize videos by Trim, Crop, Add subtitles or effects, etc. · Allows real-time preview of DivX to DVD disc conversion. Step 1 Open Wondershare DivX to DVD converter and choose disc type of project. Wondershare DivX to DVD converter free download is available for Windows and Mac. 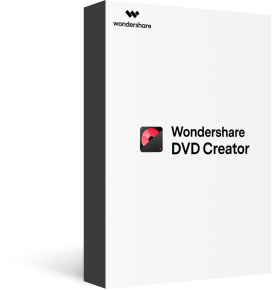 Install and launch Wondershare DVD Creator on your PC. Select the option Create a DVD Video Disc. Step 2 Import DivX videos to DivX DVD burner. Search for the DivX videos on your PC and drag them to the software interface. You can also click + icon under the Source tab to add DivX files. If you want to edit the added DivX videos, click the pencil-like icon at the video thumbnail left on the interface to open the Video Editor window. Make needed changes and click OK. Step 3 Select DVD menu template and customize it if necessary. Open the Menu tab. 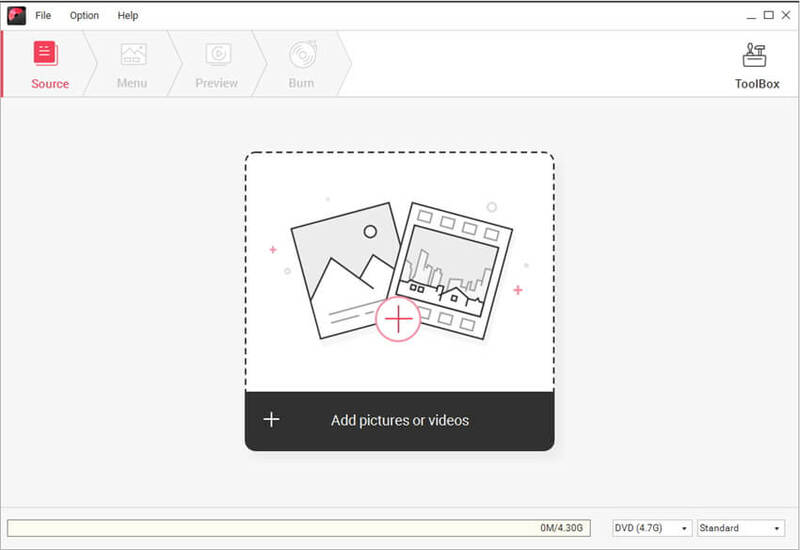 Select the template designs from the right side pane that best matches your disc theme. You can also download more designs by hitting download icon. You can customize the template by adding background music or picture, adding text, creating a chapter or changing aspect ratio. The icons for the functions are present at the top of the screen. Step 4 Preview DVD and Convert DivX to DVD. Open the Preview tab to check the created DVD disc. If needed, you can go back to Source or Menu tab to make changes before moving ahead to the next step. Go to the Burn tab, a Burn Settings window will open, select the Burn to disc option. Enter label for your disc, and choose TV standard, burner, and disc playback mode. Hit the Burn button to start the process. There are a number of ways to convert DivX to DVD free. The freeware comes with needed features and facilitates basic DVD burning process. If the Free DivX to DVD Converter could include the feature like DivX Player, DivX Converter and DivX Media Server, then it will be awesome ! Listed below are the details of two free to use DivX to DVD converter. This is a popular cross-platform, free to use DivX to DVD burner that allows creating decent quality discs. Using the softwar,e a number of files including DivX, Xvid, MP4, MOV, MPEG, WMV, WMV, and others can be burned to DVD disc. You can either select from the available menu templates or can also design your own if needed. Photo slideshow can also be created with all your special pictures. You can also add subtitle and audio tracks to your created disc. Support of multi-core processor makes the DVD burning process fast. Additional features include a user-friendly interface, background image option, scale button or graphic object, customization of navigation using DVD scripting, and others. Another known name in the list of free DVD burning tools is WinX DVD Author. Compatible with Windows 10/8.1/8/7 and other lower OS versions, the software allows burning DivX, MP4, AVI, VOB, MOV, and other videos to DVD disc. The discs can be created and personalized using DVD menu, subtitles, and other features. The software supports both NTSC and PAL standards and also gives the option to select aspect ratio depending on the screen size of the player. WinX DVD Author is safe to download and install without any ads or extras. Free DivX to DVD converter is apt for users who want basic DVD without any additional features. These free programs have their limitations. Majority of the free DivX to DVD converter supports limited video and other formats for DVD burning. Only the popular and commonly used formats are supported by the freeware. The free DVD burning software comes with basic features. 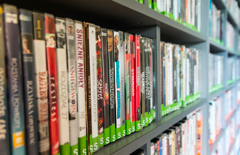 Options for adding or creating new DVD chapters, dynamic menu templates with customization, and similar ones are not supported by the free tool. So for advanced DVD burning features, you need to go with paid professional software like Wondershare DVD Creator. The free tools have slow DVD burning speed and the quality of the disc is also very basic and cannot be compared with the ones created through professional software. 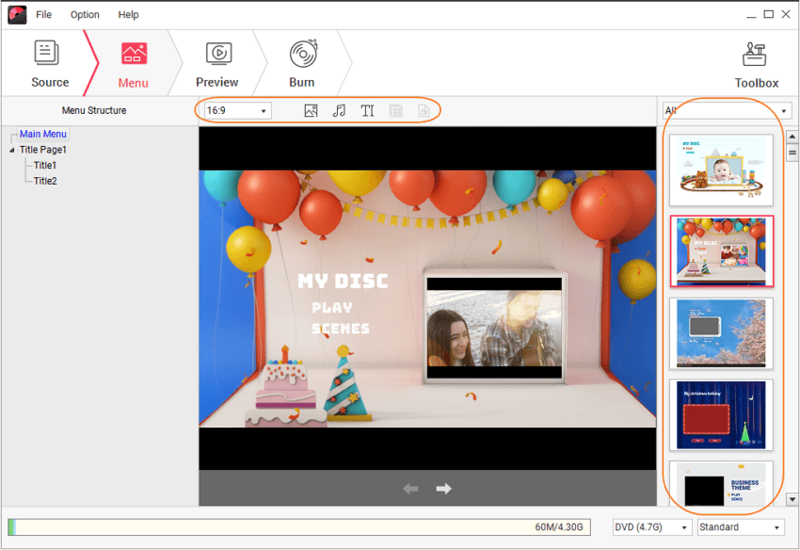 Considering the format support, quality of the disc, burning speed and other additional features, Wondershare DVD Creator is the best software to convert DivX to DVD. With a few simple steps, all your DivX and other files will be converted to high-quality DVD discs.